Life Sciences Zone is an exhibit at Dundee Science Centre consisting of an interactive display equipped to promote the understanding of the full range of basic life sciences research at the University of Dundee. It consists of microscopes, display screens and activities. The initial collaboration involved Anne Seifert (a postdoc in Ron Hay’s lab), Dr Alan Prescott, Professor Kate Storey (Cell and Developmental Biology) and Dundee Science Centre. Funding came from BBSRC (microscopes) and Wellcome. The Life Sciences Zone is open to visitors at Dundee Science Centre during their normal opening hours. For more information on opening times and admission fees please visit the Dundee Science Centre website. 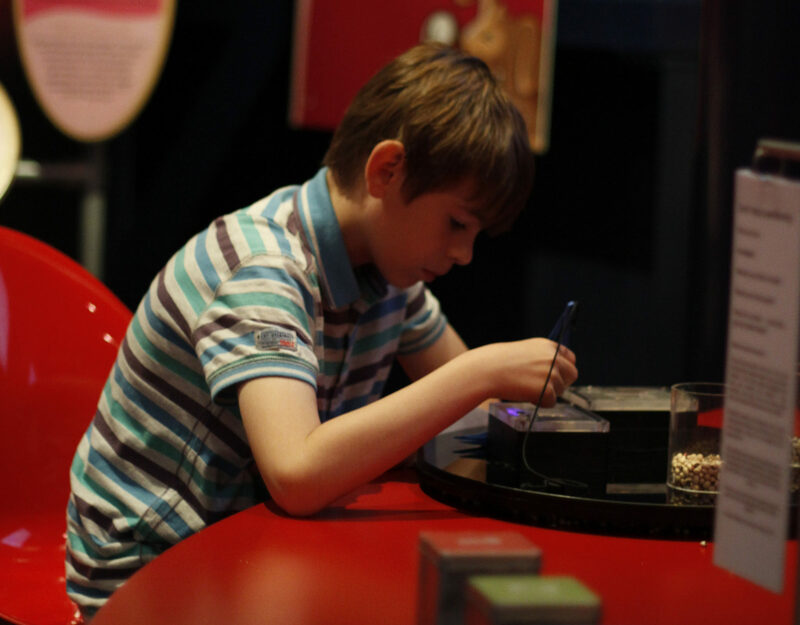 Photo of a boy playing with a Life Sciences Zone activity. Researchers and students in the School have run temporary science activities which provides the participants with the opportunity to develop their science communication skills. Recently, Professor Jenny Woof from Cell Signalling and Immunology in the School ran an activity about coeliac disease in the zone during the Dundee Science Festival 2016. This project was inspired by Dana Hutton a 6th year School student from Grove Academy at the time, undertaking her Science Baccalaureate in Jenny’s lab in 2015. Dana has coeliac disease and wanted to teach the general public about the condition. Photo of Jenny and Dana at their coeliac stall during Dundee Science Festival. 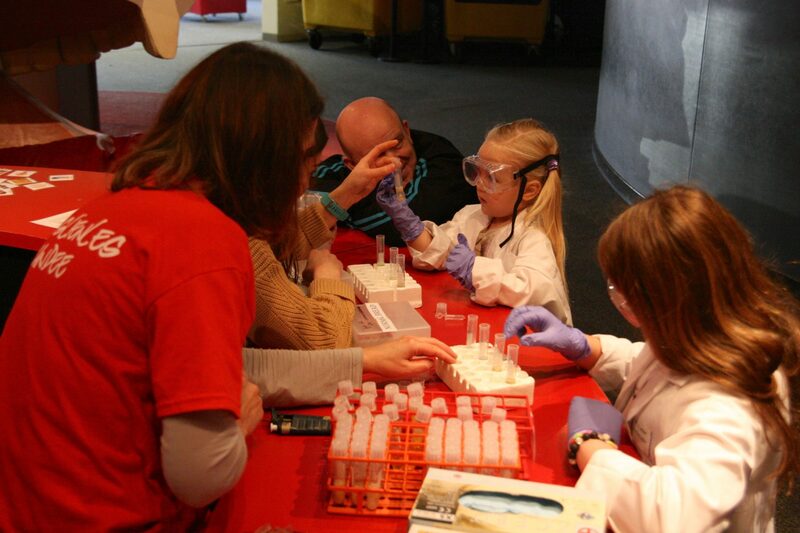 Photos courtesy of Dundee Science Centre.